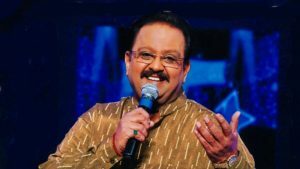 Shripathi Panditaradhyula Balasubrahmanyam is a playback singer. He was born on 4th June 1946 at Chittoor District, Andhra Pradesh, India. Shripathi Panditaradhyula Balasubrahmanyam is married. His wife’s name is Savitri. They have one son. His name is S. P. B. Charan. They have one daughter. Her name is Pallavi. Check out the table below to get complete information on Shripathi Panditaradhyula Balasubrahmanyam. His age is 72 years.